I found these posts hiding in my drafts, I took them ages ago and completely forgot to carry them on. My favourite products have changed since I took these photos (around May time last year). 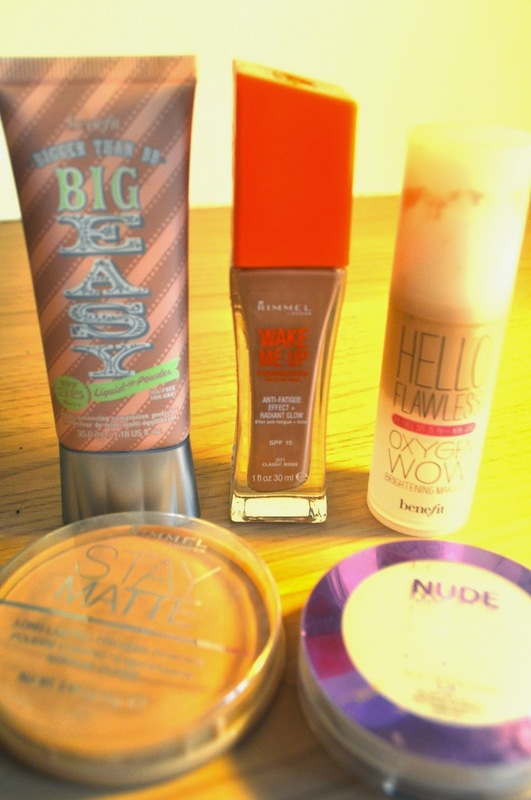 The photos are bit dark so I apologise but it may be interesting to see my views on these products. I hope you like this post, let me know your favourites too. Likes: This is a good BB creme with a good coverage. I quiet enjoy using it but I don't reach for it all the time. Dislikes: Im just not a MASSIVE fan of it. I ca not believe how much I paid for this. I think I better get using it up now. Likes: This is such a blogger fave. Its great coverage but still nice and light. I really liked using this through the summer. Dislikes: Nothing I particularly dislike, I have just been using different ones for a while. Likes: Again same as the others nice and light weight and good coverage. I remember really liking this at first. Likes: I think is great to carry round in your bag for every day little touch up. Its good for just covering areas you may have got a bit sweaty and what not ! Its a really good size for the price and really handy to have. Dislikes: Nothing I really dislike !! Only sometimes can be slightly pale for my skin.